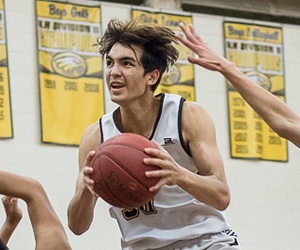 Player of the Year: Jake Holtz, Damien, G, Jr. 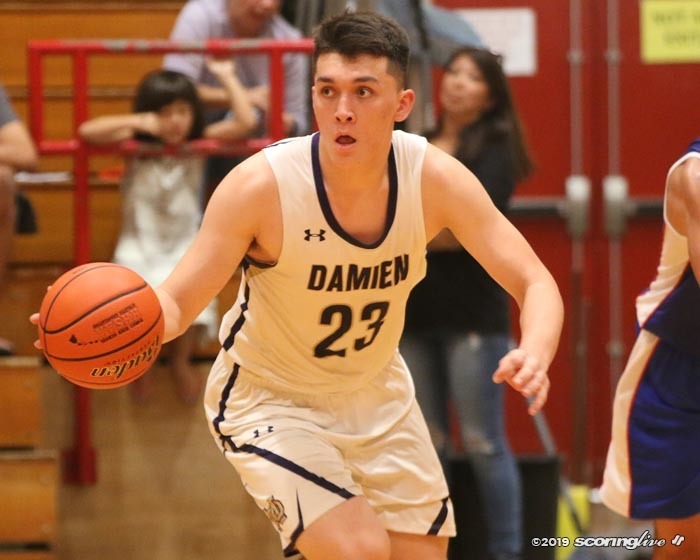 Player of the Year: Jake Holtz, Damien, F/C, Jr.
Jake Holtz was the big man that helped the Damien Monarchs fulfill their big dreams. 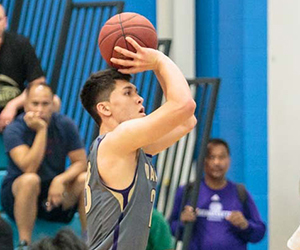 The 6-foot-4 junior was an integral part of Damien's first-ever state championship run last February and is the ScoringLive All-Hawaii Division II Boys Basketball Player of the Year. 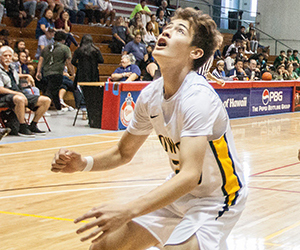 Holtz dominated in the post and averaged 15.3 points per game, but he was also a versatile player that allowed the Monarchs to play their fast-paced style of basketball. 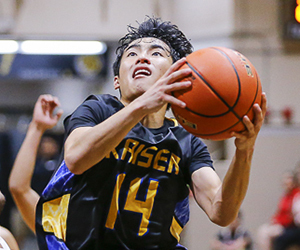 "He had all kind of different moves and was just explosive around the rim, but his athleticism was also key," University coach Ryan Tong said. "He really pushed other big men to get up and down the floor." Tong also said that Holtz has the ability to play all three front court positions if he wanted to. "I think he had that type of skillset to play out on the perimeter as well as in the post. 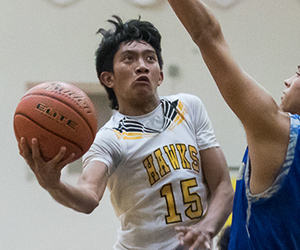 He can put the ball on the floor," Tong said. "He can extend defenses to hit that little elbow shot near the free-throw line extended." Holtz wasn't as flashy as some of his other teammates, but he was a consistent presence that did the little things to earn wins. 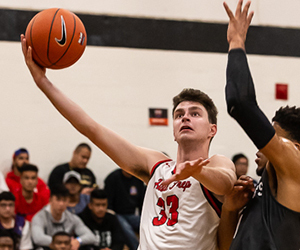 "Jake is the kind of big man you like on your team because he does all the dirty work for them, he gets points from cleaning both ends of the floor," Farrington coach Steven Leopoldo said. "If you can't block him out, he will get all the rebounds. His work ethic is what makes him so hard to stop." One ILH Division I coach even thinks Holtz would have been a worthy First Team selection if he played in D1. 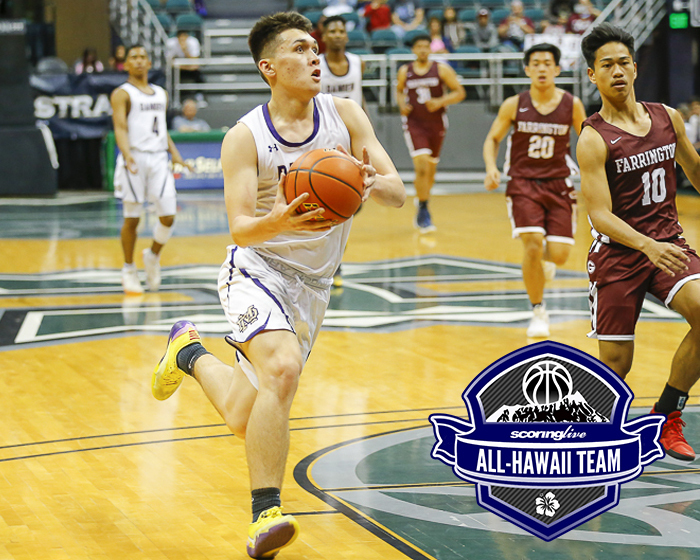 "I would rate him in the Top 5 of Division I," said Maryknoll coach Kelly Grant, who led the Spartans to the D1 state title. 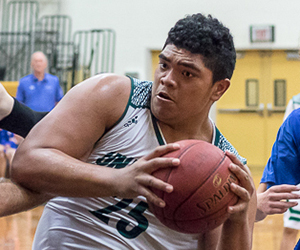 "He's long and athletic, can attack the basket either facing you up or back to the basket. He shoots above everyone, has a strong presence in the post on zone defense. High basketball IQ. He makes good decisions all the time." 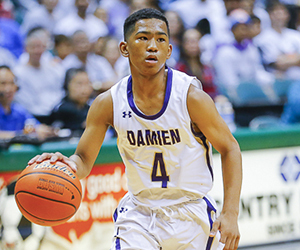 Holtz's Damien teammate Bryce Forbes and Farrington's Raefe McEnroe were also considered for the award. 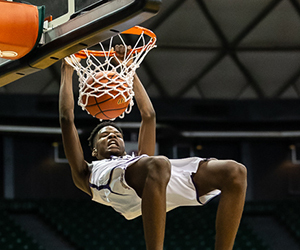 The Governors were in D2 this year, but that didn't stop them from beating several D1 teams during the season. 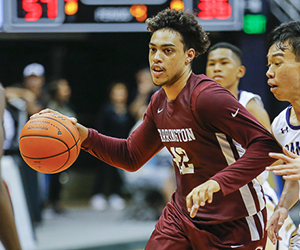 Farrington defeated five D1 teams in OIA East play - including upset wins over OIA D1 champion Moanalua and runner-up Kailua - before winning the league title and reaching the state championship game.